Some might call it a corporate juggling act. As senior vice president of Missoula’s fastest growing technology firm gears up to host more than 150 global tech leaders next week, he’s also knee deep with plans to move the company’s main downtown office to the Old Sawmill District. Tom Stergios, who heads Advanced Technology Group’s Missoula operations, announced the company’s plans to relocate in May. ATG, which celebrated its 100th Missoula employee one year ago, now claims a local staff of 141. In simple terms, the firm has run out of room at its downtown digs. 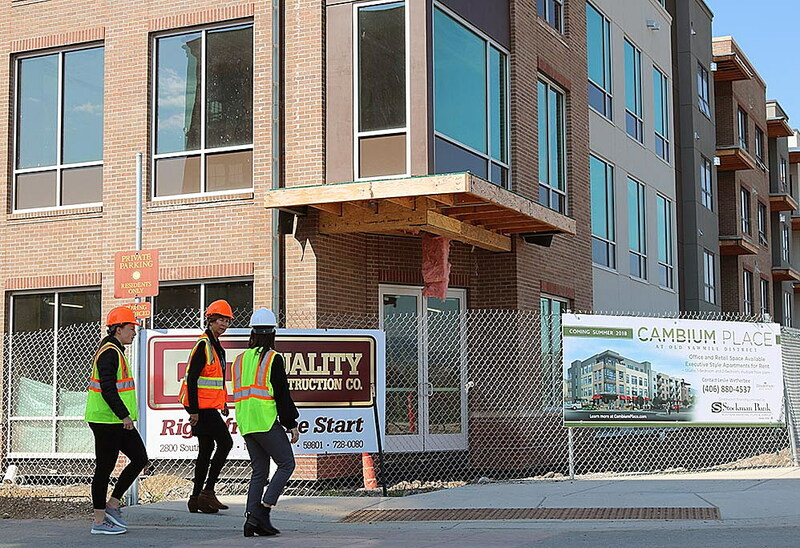 At 190,000 square feet spread across four floors, Cambium represents one of the largest projects to break ground in downtown Missoula in recent years. When construction wraps up, ATG will occupy the building’s top two floors and move the bulk of its employees from Main Street to Wyoming Street. Roughly 45 employees will remain in place, though Stergios looks to consolidate the crew at some point soon. But that may take additional space. ATG began with two Missoula employees in 2011 and has grown year over year ever since. Stergios believes it will continue to grow, pushing several hundred employees in the coming years and boost its economic impact. According to a report compiled by the Bureau of Business and Economic Research at the University of Montana, the average ATG employee earns more than $77,000 a year. The company generated an economic output of $21.8 million in Missoula last year and paid more than $8 million in wages. Bringing those workers together in a single technology campus remains one of Stergios’ goals. Developers of the Old Sawmill District envision something of a tech hub as the development continues to fill in. ATG will serve as the first major tech anchor, and future building plans could place a second ATG office in the district.